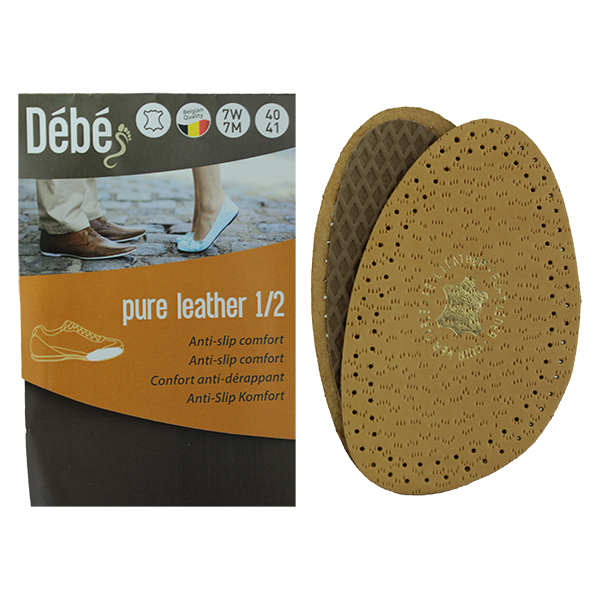 The Debe Pure Leather Half Insole is a natural leather insole with latex underlay for added comfort. 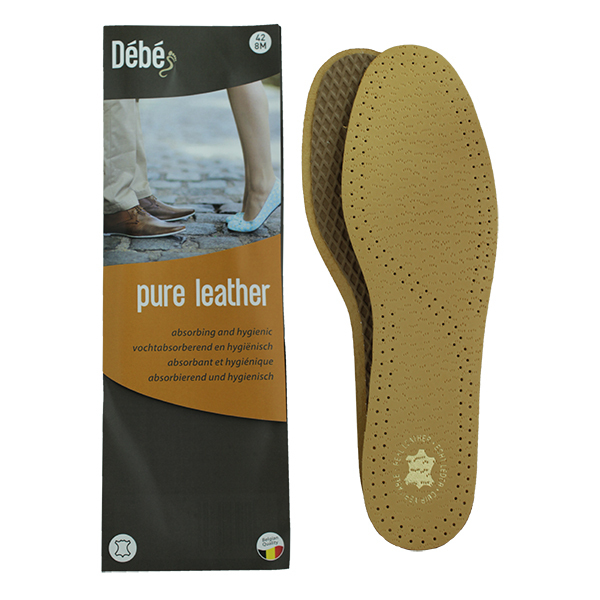 Soft leather on the top layer is designed to absorb moisture. 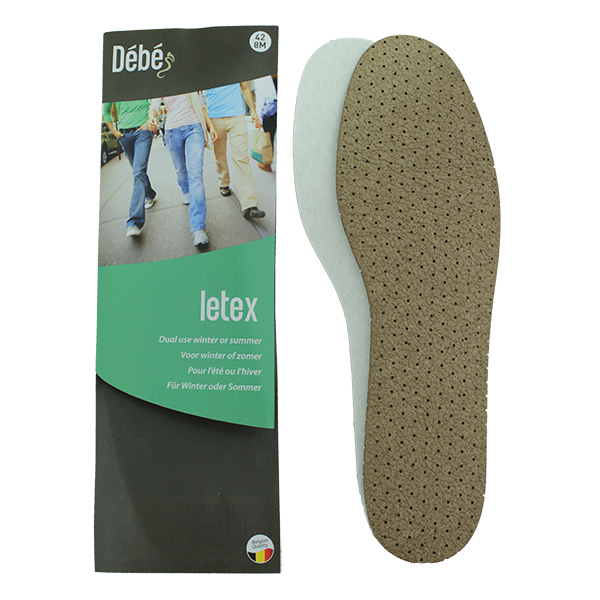 It is advisable to remove the insole from footwear after usage in order for the insole to regenerate.